Kansas City, Mo. 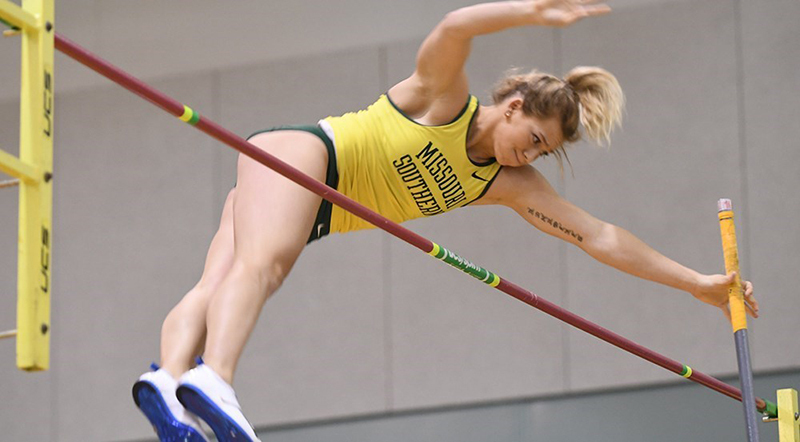 — For the second week in a row and the fourth time this season, Missouri Southern sophomore pole vaulter Emily Presley has been named the MIAA Field Athlete of the Week as announced by the league office today. Competing at The University of Arkansas, Presley once again picked up an AQ in the event as she placed fifth in the pole vault with a height of 13-05.00 against primarily Division I competition. The mark is her fifth AQ in the pole vault this season and she is one of two athletes in Division II with an AQ and only one from the MIAA, while still serving as the top vaulter in Division II. Presley and and the Lions will be back in action this weekend as Southern plays host to the 2017 MIAA Indoor Track and Field Championships.